From an equipment, versatility and comfort standpoint, minivans offer better value than similarly-equipped mid-size sedans and SUVs. 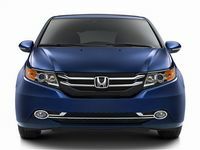 Despite the value proposition minivans represent, the segment, whether because of fashion or demographics, is losing momentum. The Minivan section of Lemon Aid 2004 mentioned 24 different nameplates compared to the five nameplates covered this year. The minivan sector is dormant for 2016 but Chrysler has announced a new vehicle reprising the name Pacifica to replace the Grand Caravan and Town & Country by mid-2016. The safety record of minivans is generally very good, a function of their height, large size and usually cautious drivers. With the exception of bumper strength on some models, minivans meet almost all passenger car safety standards. Bulky vans with deep-tinted glass can be challenging to park, especially at night. Proximity parking sensors are optional on most vans now, and several makers now offer backup cameras as well. A note about mileage: The APA is using the U.S. Department of Energy fuel consumption figures once again as the figures from the new Canada EnerGuide test cycle were not available as this research was being compiled. No changes of note for these vans in their ninth year on the market except for a 90th Anniversary Edition of the Town & Country. 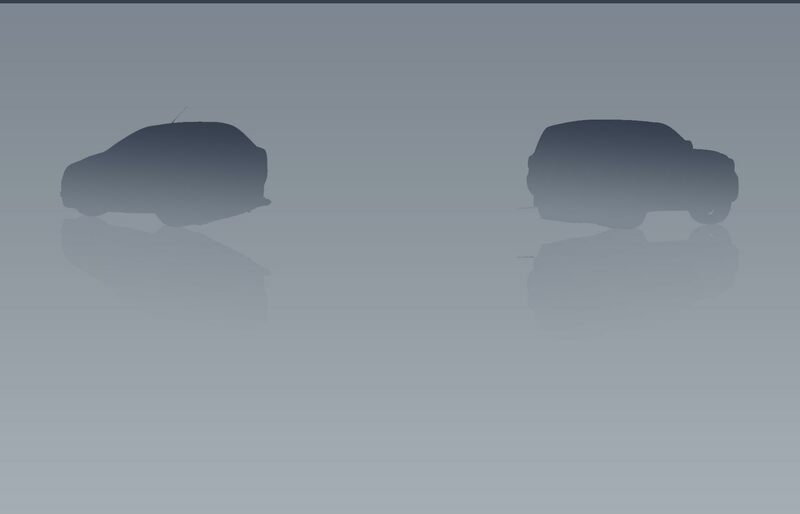 Both nameplates will be replaced the the Chrysler Pacifica by the middle of 2016. Good performance and refinement from the 3.6L V6 that is a bit lacking in torque at low revs. The main quest of the automatic transmission is to reach the highest gear possible means a lot of downshifting when a bit of extra speed is required. There is no creep function when the vehicle is in gear with the brakes off, making low-speed manoeuvres tiresome. Heavy steering is reassuring on the highway, but combined with the firm throttle, makes the van feel ponderous in town. Strong brakes. The Town and Country's suspension swallows road imperfections on the highway and ably handles all but the biggest urban potholes. Noticeable body movement on sinewy roads. Big, clear gauges. Elegant dash and lots of padded surfaces. Simple, logical controls for a full-featured van. Supportive front seats. Adjustable pedals and telescoping wheel make all drivers comfortable. Enormous, clear, cargo hold. The second and third row seats enjoy good legroom but the Stow N Go seats are mounted too close to the floor to be comfortable for adults. The Town & Country was ranked third in a four van test that also included the Honda Odyssey and Toyota Sienna. Only one powertrain, a 3.6L V6 hooked up to a six-speed automatic transmission sending power to the front wheels, is available. Properly equipped, maximum towing capacity is 1633 kg (3600 lbs.). Made in Canada and the United States. These vans outsell the Honda Odyssey and Toyota Sienna by a factor of five to one. Grand Caravan : viewed without the prism of Chrysler s mind-bending, market-altering incentives, these vans look very expensive compared with the highly-revered Honda Odyssey and Toyota Sienna. However, the rich incentives available on these vans focus their value proposition and go a long way to explaining their dominant market position. Moving up from the Canada Value Package to the SXT is very expensive but is the gateway to the Stow n Go middle-row seats. The additional funds asked for the Crew compared with the SXT reflects its additional content. The Crew Plus and SXT Premium Plus are very good value. The Town & Country Touring L and S are good value, with the Premium priced to reflect its contents. The Limited range-topper is very good value this year. 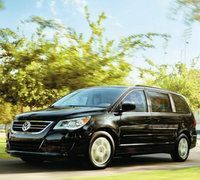 Similarly equipped, a Town & Country Limited is priced around $10,000 more than a Dodge Grand Caravan RT. Strong depreciation, especially on high-end models. Incredibly rich incentives keep these vans selling. Leasing became available during the 2016 model year. Below average since the current model was released as a 2008. Weak points could include air-conditioning, electrical system. Some transmission fluid leaks reported. 3 Unproven V6 engine. Rapid brake wear is a possibility. Lower body and conduits for the rear heating and air-conditioning vulnerable to rust. The all-new Pacifica will eventually replace the Dodge Grand Caravan and Chrysler Town & Country, but will be just a range-topping super luxury model for now. FCA design Supremo Ralph Gilles was on hand for the Canadian debut of the Pacifica that will replace both the Chrysler Town & Country and the Dodge Grand Caravan. The Pacifica moves away from typically minivan proportions toward something sleeker and more sporting than its predecessor or the plethora of three-row crossover vehicles potential buyers might also consider. Only the range-topping model was on display, but its interior, including the dash and door mouldings which will be common to all models, looked very upscale. Gilles noted that a full range of trims, including something approximating the current price-leader Canada Value Package, will be available, but not necessarily right away. Most Pacificas will be powered by a 3.6L V6 sending power to the front wheels via a nine-speed automatic. FCA announced a plug-in hybrid, which was said to be developed completely in-house, with an all-electric range of 48 kilometres under ideal conditions. Ralph Gilles, FCA s styling chief noted that a full range of trims, including something approximating the current price-leader Canada Value Package, will be available. However, only super-premium versions of the Pacifica, starting at $43 995 for the Touring, with the Limited range-topper bearing a $52,995 MSRP. Equipment is comprehensive on the Touring, abundant on the Touring L and lavish on the Limited. The Touring L upgrade is exceptional value with the Limited priced to reflect the value of its additional features. Not rated, all-new vehicle. 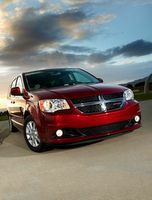 The Dodge Grand Caravan and Chrysler Town & Country were rated below average for reliability. Active Safety Features: Available active safety equipment includes adaptive cruise control with stop and go, forward collision warning with auto braking, lane departure, blind spot and rear cross traffic warnings and lane keeping assist. Knee airbags for both front occupants. No changes of note for the Odyssey in 2016. The 3.5L V6 is smooth, quick and sounds great when pushed hard. The six-speed automatic transmission upshifts smoothly but can hesitate when asked for a lower gear. Cylinder shut-off (6-4-3), works imperceptibly and uses a bit less fuel than the Toyota Sienna. Confident handling. Firm ride. Precise, but light steering. The brake pedal on our test car was very firm, making the brakes hard to modulate. Big, clear instruments. Though the dash centre stack houses a lot of buttons, they are grouped into operational themes and easy to cope with. Comfort is assured by supportive seats and ample cabin space. While the interior looks carefully assembled, some drivers encountered rattles on our test vehicle. Top models lack the luxury appearance expected at the price. Good cargo space. 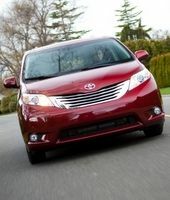 The Odyssey was ranked second in a multi van test that also included the Chrysler Town & Country and Toyota Sienna. The 3.5L V6 is hooked up to a six-speed automatic transmission. With just over 11,000 units sold last year, the Odyssey and the Toyota Sienna are selling in equal numbers, but can't compete with the Grand Caravan/Town & Country numbers wise. Properly equipped, maximum towing capacity is 1588 kg (3500 lbs.). The LX model is comprehensively equipped and unless you are looking for luxury features there is no real reason to venture further. The SE trim upgrade lacks value for the money asked but the EX model is good value. To get leather upholstery, buyers are forced into taking either navigation or an Entertainment system. The Touring package is priced about $2000 higher than the value of the contents in the package. Very good value leasing. Good resale value. Good reliability predicted. Unproven six-speed automatic transmission. Power sliding door durability could be a trouble spot. Some engine consumption issues on 2011 and 2012 models. The Sedona looks considerably sleeker than the previous model. The dashboard features big, clear gauges and uncluttered controls. The cabin is chic, with plenty of soft-touch surfaces, two-tone colour schemes and piano black and bright metal accents. Second-row seats (with extendable footrests on the SXL and SXL+ models) fold compactly as they move forward, allowing for very good access to the third row. Thanks to a deep well between the third-row seat and the tailgate, cargo capacity is ample with the third-row in place. According to Kia, the Sedona is built on an all-new new chassis featuring large amounts of high-strength steel. The Sedona is powered by a 3.3L V6 sending power to the front wheels via a six-speed automatic transmission. Massive model range comprises seven different trim levels which will be difficult for both the Canadian distributor and dealers to administer given the historically minimal sales the model has generated. The base L is nicely equipped but the LX trim upgrade, which contains a wealth of equipment for not much money, is the best value of the lineup and is equipped to suit most buyers. The LX+, SX+ and SXL trim upgrades are priced to reflect their additional features but the SXL+ is a bit pricey given its content. Reasonable value leasing. To gain a foothold in the minivan market Kia will have to be much more aggressive with incentives than they have been if they are to get anyone to notice the Sedona. Not rated, new models. Most other Kias, which share components with this Sedona, are rated good. Active Safety Features: Optional Forward collision warning system, adaptive cruise control and blind spot detection. Mid-cycle remake includes mildly revised exterior styling and an updated cabin featuring a new dashboard and more attractive cabin materials. Bluetooth and a rearview camera are standard for 2015. New options include a Blu-Ray player and "Easy Speak" ,which plays the driver's voice through the audio system. More sound deadening materials have been added to enhance refinement. The Sienna's 3.5L V6 is powerful, economical and very well matched to its smooth-shifting six-speed automatic transmission. Quiet enough in gentle driving, the V6 sounds rough when pushed. Well-judged ride-handling compromise. Light steering lacks feel and has a "dead" sector when driving straight. Prominent torque-steer on strong acceleration. Strong brakes despite spongy initial brake feel. The cabin is much more attractive and better-assembled than last year. Comfortable seats are located in a roomy cabin that can easily handle six large adults and all of their luggage. 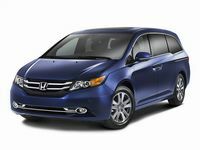 Ranked first in a multi vehicle test against the Honda Odyssey, and Chrysler Town & Country. All Siennas are powered by a 3.5L V6. Front-wheel drive is standard, with all-wheel drive optional. Seven and eight seater versions of the Sienna are available. 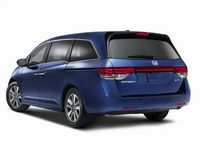 With just over 11,000 units sold last year, the Odyssey and the Sienna are selling in equal numbers, but can't compete with the Grand Caravan/Town & Country numbers wise. Properly equipped, the Sienna can tow up to 1585 kg (3500 lbs.). 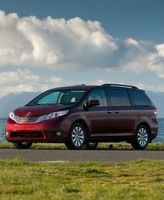 The LE eight passenger model is the best value of the Sienna lineup. SE Technology package is priced to reflect its contents. Compared with the LE eight-passenger, the Limited seven passenger model is poor value, with its price roughly $3000 higher than its additional features are worth. Good value XLE Limited package. All-wheel drive, standard on the XLE, is a $2825 option on the LE trim. Good Value leasing. Above average reliability predicted. Some reports of touchscreen and sunroof failures which are very expensive to repair atter the warranty has expired. Active Safety Features: Blind spot and rear cross traffic warnings. Additional airbags: Driver's side knee airbag.